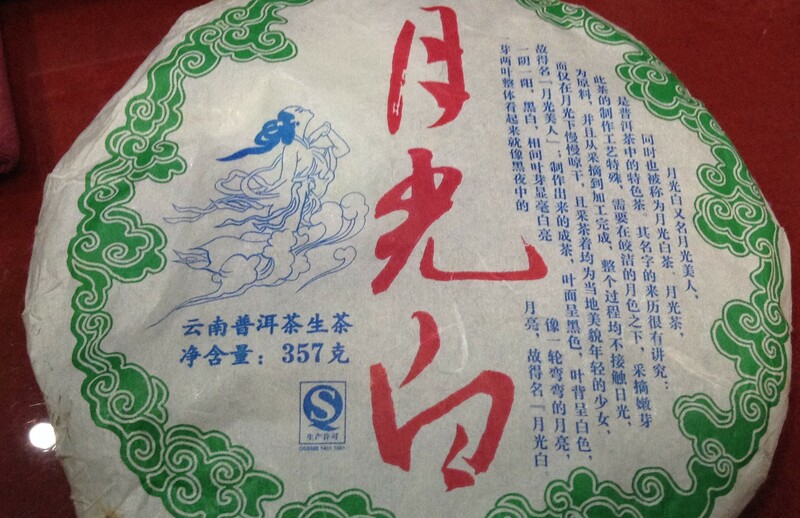 The following text was originally in Chinese, printed on the paper wrapping of the Moonlight White Pu’er tea cake, shown in the photograph. for the raw material, and then, from the point of picking, to the final processing, throughout all of the steps there can be absolutely no contact with sunlight. The leaves are allowed only to dry slowly under the moonlight, and the tea pickers are all local, young and beautiful women. One side yin, one side yang, black and white, the alternating sides of the leaf buds appear as sparkling white down, like the curved brilliance of the moon. 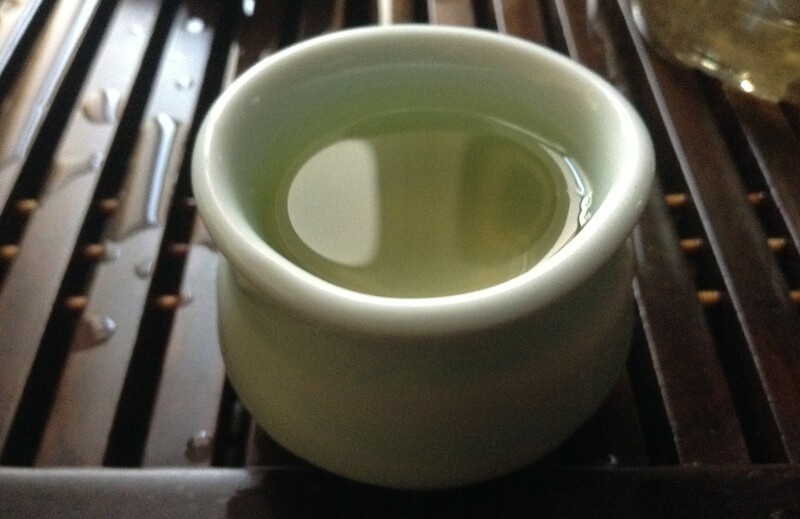 Sweet and fragrant, like a fresh green, but deep and smooth, with the life of a pu’er.